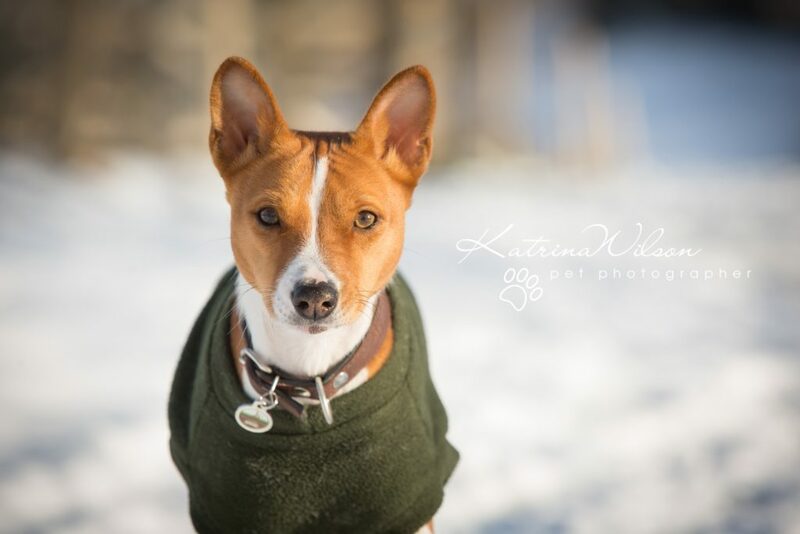 When I was asked to photograph a session that was going to include a Basenji – I was SO excited!! I love photographing lesser seen dog breeds (that’s not to say I wasn’t excited to meet Holly the Border Terrier too!) 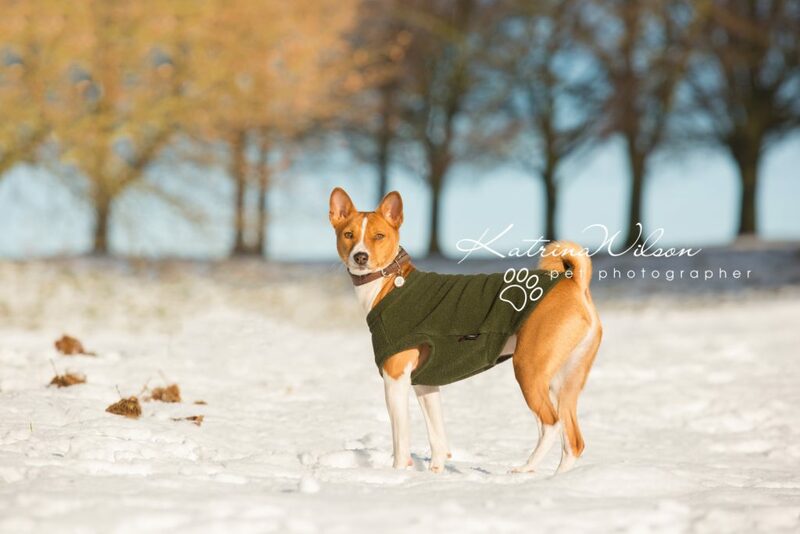 but previously I had only ever seen Basenjis at Crufts and Discover Dogs. Until now I had never had the pleasure of meeting one in “real life”. Flash is almost 2 years old, and was SO much smaller than I imagined he would be – but his stature didn’t disappoint! 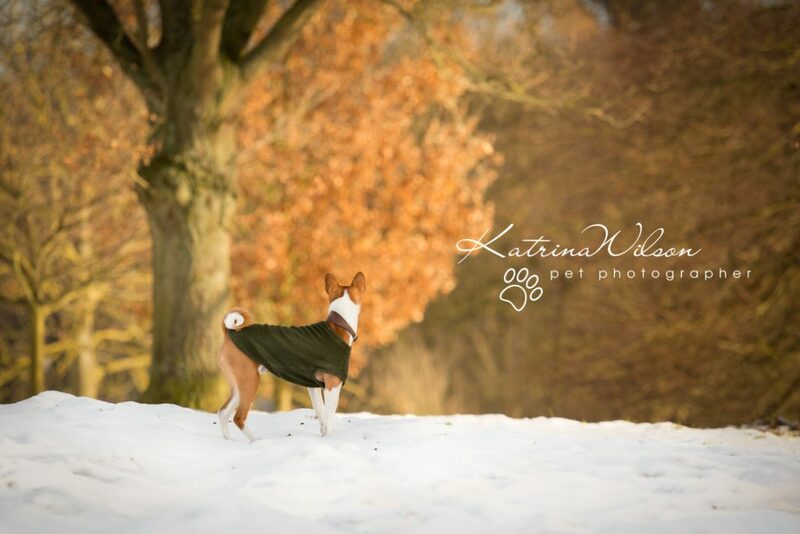 The morning of our scheduled photo session was extremely cold (-2 in fact!). 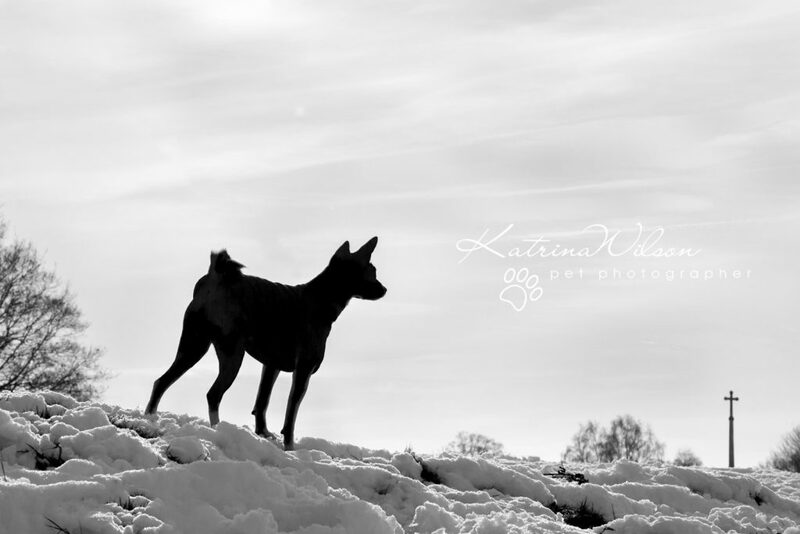 The snowfall from previous days was still on the ground and gave us a beautiful setting…not to mention both dogs loved running around in the white stuff! 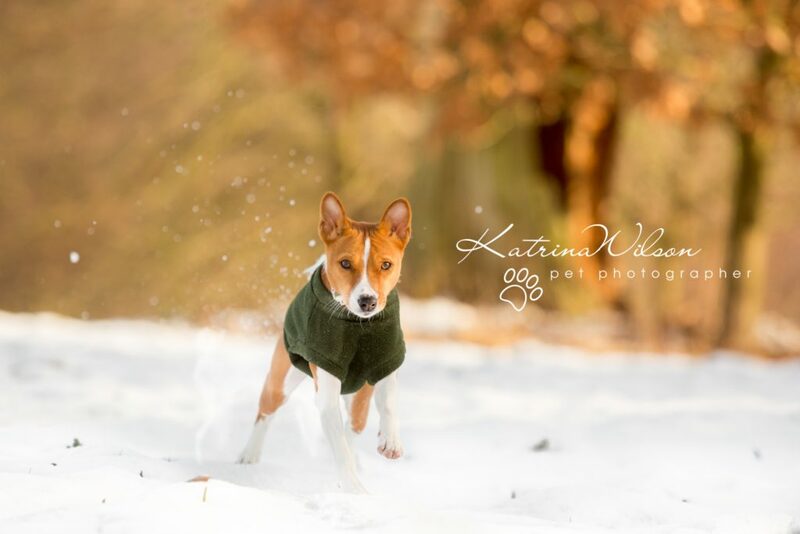 However because Basenjis originate from the Congo, and have very short, fine fur, they’re not fans of wet weather – or the cold. 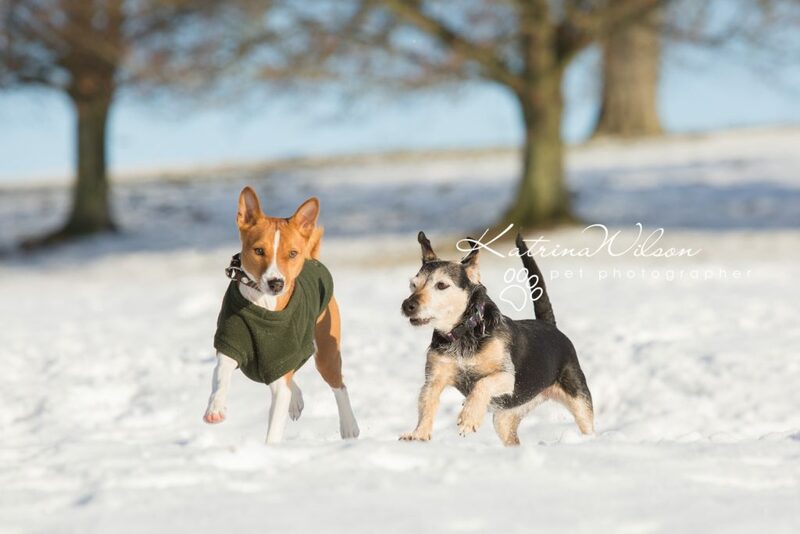 Hence Flash kept his snuggly coat on. 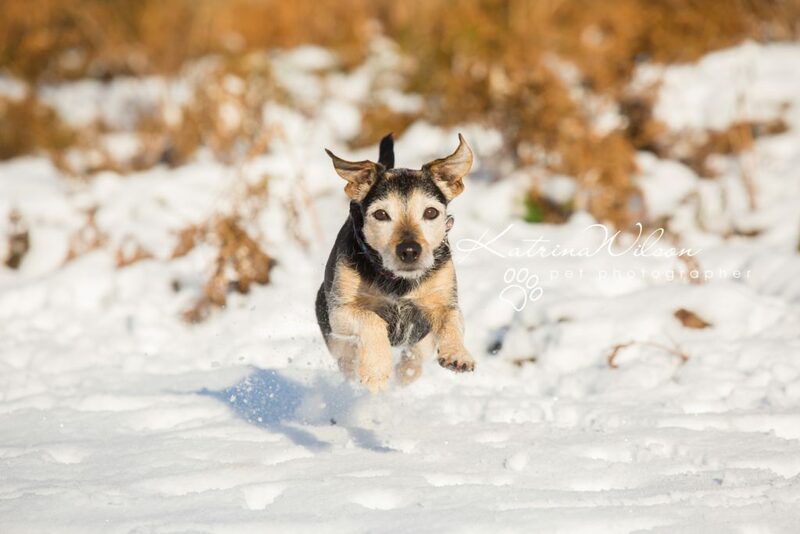 Holly on the other hand, originating from “up North” comes from much hardier stock, and embraced the snow fully…. 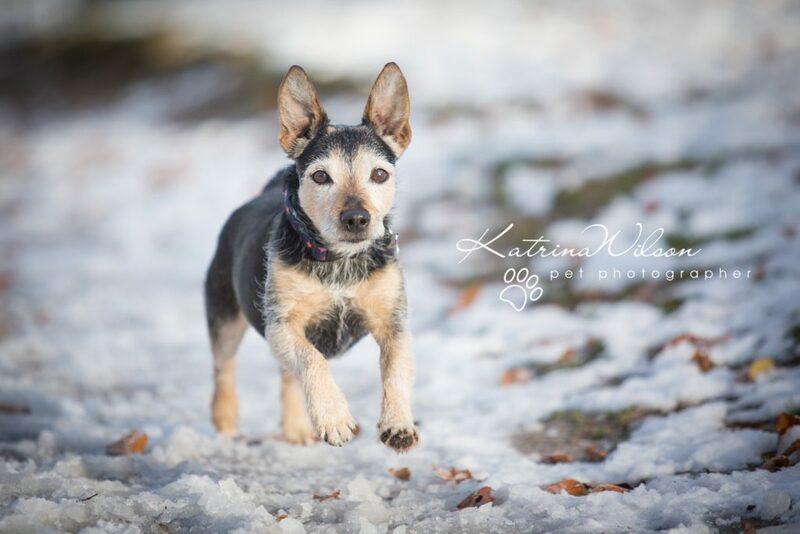 This small little dog has bags of energy and character, and can well keep up with her much younger brother. 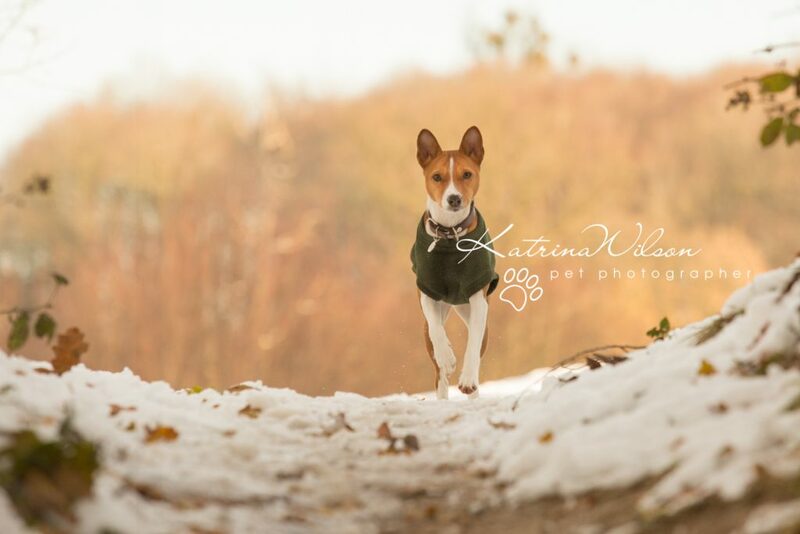 Being a sighthound, Basenjis have a very strong prey drive, meaning that they can be prone to running after little furry things (of which there are lots in this particular location!). 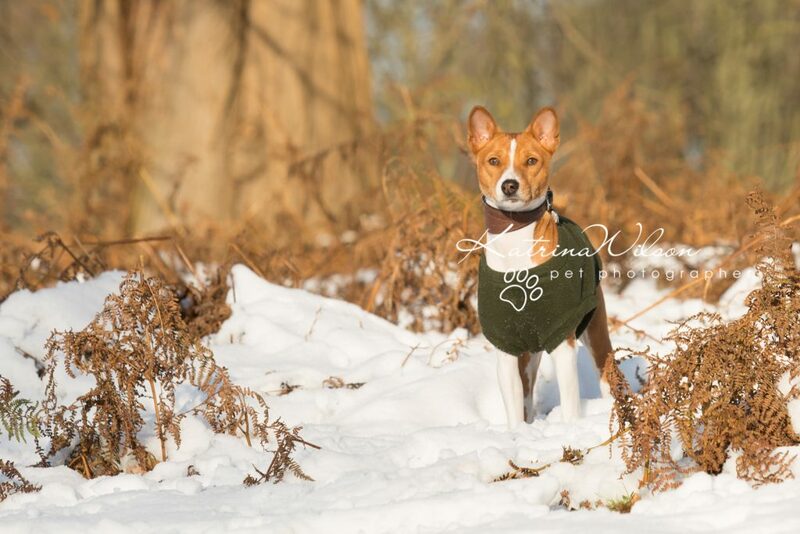 So for some of our session – such as in the image below, Flash was kept on a lead (which I later removed in Photoshop) – so don’t let your dog’s natural instincts prevent you from thinking we can capture some amazing photos in natural settings!